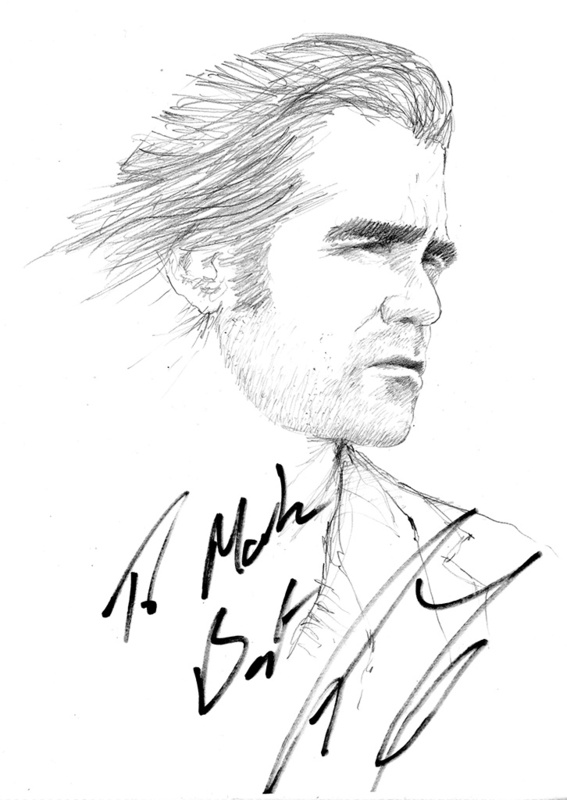 Colin Farrell signed my sketch at the Total Recall premiere in Leicester Square, London. Colin is always very friendly and loved the drawing, chatting with me as he signed it – one of the nicest film stars. This entry was posted in Celebrity, Film and Television and tagged Autograph, Colin Farrell, Drawing, Film Premiere, London, Signature, sketch, Total Recall by Mark Winter / Chicane. Bookmark the permalink.